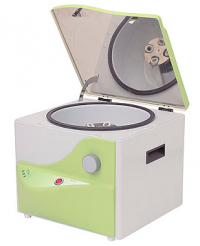 The dual purpose veterinary centrifuge that separate’s blood, urine, haematocrit and many other routine samples. The standard, inclusive Combination rotor is simple simplicity not only allowing capillary tube analysis (PCV) but offering extra capacity of 2ml tubes , for larger animal analysis. Thus saving you time and money by not requiring further rotors and saving time in changing them. Equine, Zoological, Larger animals. 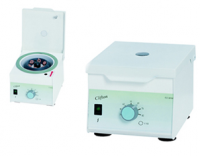 This machine offers fantastic fl exibility by using the combination rotor and a swing out rotor for those larger samples from up to15ml of blood to 50-100ml of sperm. 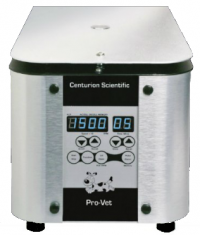 All in complete safety as each rotor has a recognition system matched to the centrifuge. Just change the rotor that’s all you have to do. Having one machine that can do both large and small animal’s means huge space and cost savings. Four buckets fitted on Rotor suitable for tubes up to maximum of 17mm dimeter. For added flexibility the Rotor comes with two sets of adaptors, a green set suitable for 13mm tubes and grey set for 10mm tubes. 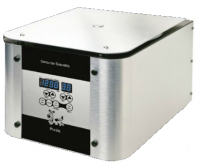 Timer allows variable rotor operation up to 30 minutes. Push button activates timer, illuminated, lid remains locked until the rotor is at rest. 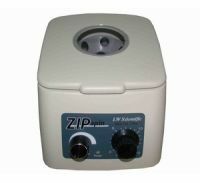 Centrifuge with Timer includes 4 x 15ml swing out head.